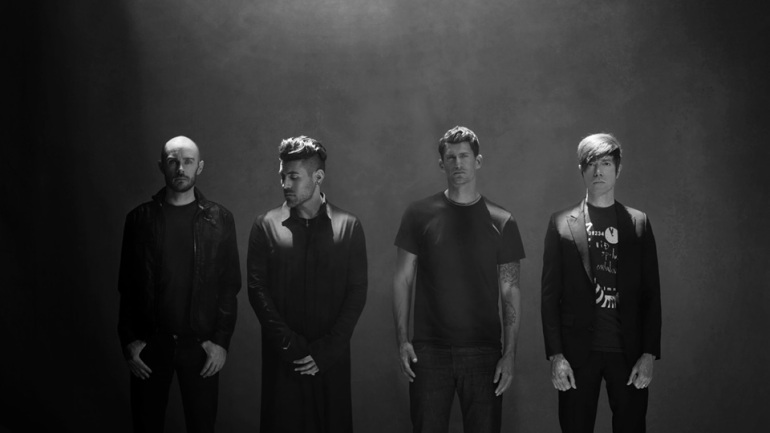 Puresinner - music reviews, previews and news: AFI Is Back! It seems like forever since the band's last release in 2009. Crash Love didn't make much of an impact as Sing The Sorrow (2003) and Decemberunderground (2006) did. Furthermore, the band's vocalist, Davey Havok and guitarist Jade Puget were busy with their Electro side-project, Blaqk Audio. Adding to that, Havok also starred in a film (Knife Fight) and wrote a novel (Pop Kids). Yes. The band members just can't stop doing something. That leads us here with two of their latest singles, 17 Crimes and I Hope You Suffer. Burials, AFI's ninth full-length album, will be released later this year and with two singles already out on iTunes and streaming everywhere on the internet, AFI has certainly promised the fans that they are seriously back. 17 Crimes did not come across as something attractive at first but it grows on you... like a parasite (which you wouldn't want to let go). It might sound like something from Crash Love at first but once you get hooked in, it can safely be included in Sing The Sorrow's B-sides. Truth be told, AFI will never go back to its roots. They keep evolving and discovering new avenues of creativity. I Hope You Suffer is by far the most different AFI has ever been. Though some may say that it draws influence from Decemberground because of its electronic sounds, it does draw some new industrial-like influences into it. When I say different, I didn't mean it as an entirely new band. You can't miss Havok's seductive vocal intro leading into an aggressive chorus. Other than that, the signature AFI gang vocals at the bridge of the track reminds us that this is the same band we've grown to love. Personally, I'm in love with this track. It's a sound that they have never done before but still retains the core AFI sound. Adam Carson really hit it right in this one with the intense drumline that pretty much carries the song from start to end. Burials will be available on October 22, newly signed under an urban label, Republic Records.